North Carolina voted it though their House just days ago. And Michigan is making us look bad by passing it through committee and sending it to the House for a full vote soon. You see, Constitutional Carry isn’t letting up anytime soon. Our own Constitutional Carry bill, S.B. 169, is still in the Judiciary and Public Safety Committee and we need to get it out. The legislature is expected to go on summer break in just a few weeks. And we need to do everything we can to make sure it makes it out of committee so that we can focus on the full House when they come back after summer break. It’s time Wisconsin joined this growing list. 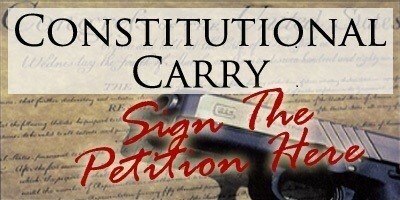 Please help us, by signing your petition in support of Constitutional Carry legislation today! When we look at Wisconsin politics for the last decade, there’s one thing I know for sure — majorities come and they go. To be clear, Constitutional Carry would not eliminate the permit system that we have in place right now. It would simply make it optional. So, if you want a permit you can still have one, but that would be your choice. Anti-gun legislators and liberal media outlets alike have made it clear all session long, they can’t stand Constitutional Carry. They continue to spread lies and falsehoods about what Constitutional Carry will do as we saw in the first public hearing we had just a week and a half ago. That’s why, in addition to your signed petition, I hope you will consider a generous donation to the Wisconsin Firearms Coalition to help us mobilize as many people as possible between now and next session. In order to continue with what is sure to be an expensive session, we need your help. The Wisconsin Firearms Coalition plans to deliver a mountain of signed petitions to the legislature when they reconvene.